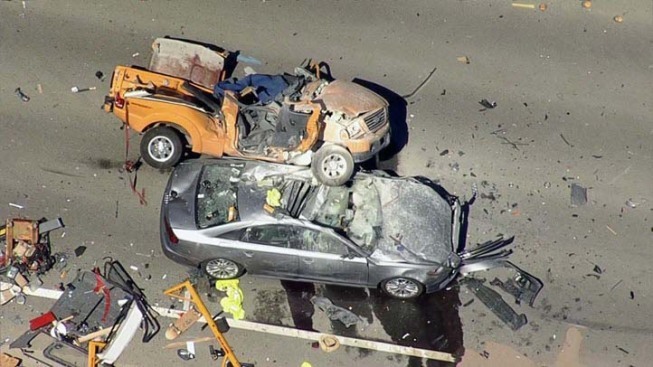 A 24-year-old man died Friday afternoon in a fatal collision in Fremont, according to police. At 2:18 p.m., officers responded to a report of a collision near Osgood and Blacow roads. Upon arrival, officers found that a Ford pickup truck collided with an Audi sedan on Osgood Road, south of Blacow Road, police said. Officers determined that driver of the truck was driving north on Osgood Road at a high rate of speed when he somehow lost control, allowing the truck to cross into the road's southbound lanes. The Ford then collided with the Audi, which was being driven by a 54-year-old woman. The driver of the Ford was pronounced dead at the scene, according to police. The woman driving the Audi was taken to a hospital with injuries not considered life-threatening. Police are continuing to investigate the collision, including whether drugs or alcohol were a factor. Anyone with information is asked to contact traffic Officer Anthony Piol at 510-790-6772 or apiol@fremont.gov.